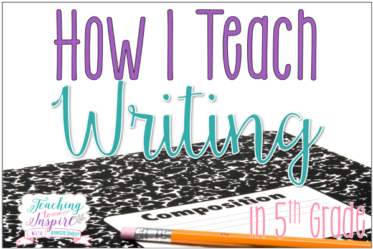 My first year teaching third grade, I had a student in my class who had very strong feelings toward writing. He hated it with a passion and wasn’t afraid to let others know about how he felt. I am not sure that first year that I made that much of an impact one way or another on his feelings toward writing. To be honest, my first year teaching was kind of a big blur. I had know idea how to get students excited about writing at that point, especially those who had such adamant feelings of hatred toward the subject. However, the stars aligned and I was fortunate enough to be moved to fifth grade where I got the chance to teach him writing again two years later. By now, I had some tricks up my sleeve and I was ready for him. That entire year, he never once complained about writing and you would never have known he once hated it. Now, I am not going to pretend that all of this was my doing. In fact, I think his fourth grade teachers did a great job getting him to enjoy writing. But, I know that there were some things that I did that second year of teaching him that definitely contributed to his excitement for writing. 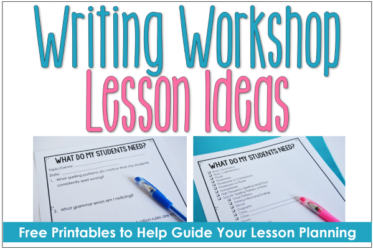 Over the years, I have added more strategies to my “teaching writing toolkit” and I am going to share those with you today with the hope that you can use these to get your students excited about writing, even the most reluctant ones. If I had to rank these strategies, this one would probably be ranked as the most important strategy to get students excited about writing. Choice is really important for children, especially children who don’t automatically love a subject. Providing children with choice in what they write about empowers them, motivates them, and allows them to take ownership in their writing. One easy way that I let my students have choice in their writing is through my writing choice boards. 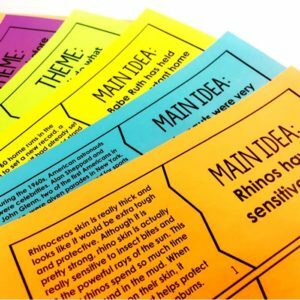 I created these writing choice boards with high-interest writing prompts organized by genre. 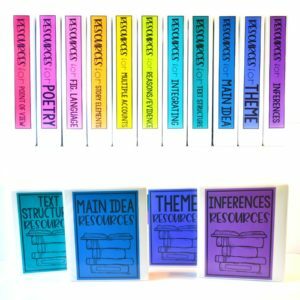 Click here to check out these writing choice boards in my TeachersPayTeachers store. 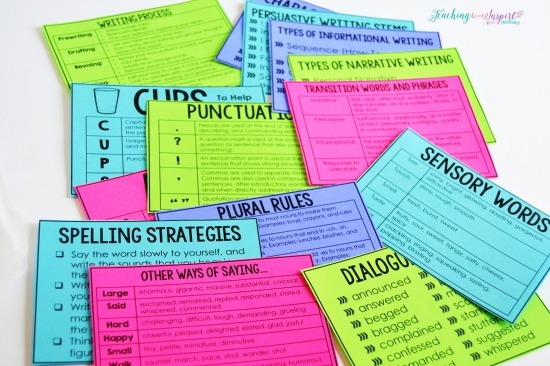 The bundle includes SEVEN writing choice boards with over 100 writing prompts. Another way is by creating lists of writing topics (some broad topics and some very specific topics). The students choose topics from their list to write about. This gives them choice and makes it personal, which leads to my next tip. This is just as important as providing choice. Making writing personal can make a world of different to reluctant writers. One way that I help make writing personal is by having my students create personal lists of writing ideas for each genre of writing. 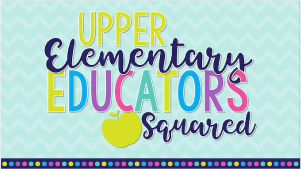 You can read more about this and see examples for informational, narrative, and persuasive genres by clicking here. While I am a huge proponent of choice and making writing as personal as possible, sometimes it is necessary (and important to the growth of the writer) to give your students writing topics. In those instances, I take my students’ interests into account when choosing topics. Some years I throw out writing topics because they are not interesting to my current students. Sometimes, I add in topics that I know my current group of students will love. Without fail, my students always seem to enjoy writing about holiday and seasonal topics. It channels their excitement about the holiday and gets them very excited to write. With that in mind, I created seasonal writing prompts for persuasive, informational, and narrative writing. These are extremely high-interest writing prompts and since there are so many (around 7 different prompts per genre), my students can also chose which prompt they want to write about. The ones shown below are from my Christmas/Winter Writing Prompt Set, but I have all the major holidays/seasons in my store as well (Click HERE to see them)! 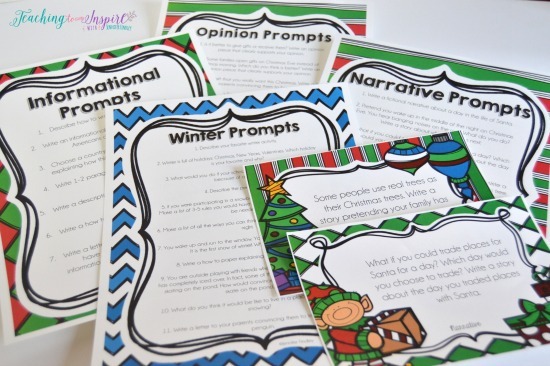 Want a full set of seasonal/holiday prompts to last the school year? Click here to see the heavily discounted bundle in my TpT store. It is no surprise that most students love talking. Channeling this love of talking into writing makes the talking constructive and will help get the students excited about the topic they are writing about. Here are some ideas to have your students talk before and during writing in a constructive manner. When we are choosing or discussing a writing topic, I like to give my students an opportunity to talk about the topic. I usually give them guiding questions to make their discussion even more productive. After we plan our writing, I also like to have my students use their planning to “oral rehearse” their story with partners before writing. Another strategy for narrative writing is to draw a quick sketch of a memory or event. Then have the students tell the story to their writing partner using their quick sketches as a guide. We also talk through and share specific parts of our writing before we write. For example, when we are writing persuasive essays, I will have my students share their opinion statements before we actually write them. While I do set the expectation that independent writing time is sacred, I do allow my students to talk about their writing while they are writing. To ensure my students are on task and not spending their writing time chatting, I implement a “Thumps Up When Talking (And It Must Be About Your Work” strategy. 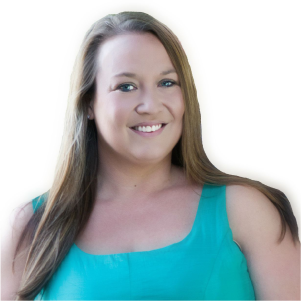 You can more more about this strategy and how it works by clicking here to read a more detailed post. Give them choice in what they write about whenever possible (read more about that at the beginning of this post). When offering suggestions or revisions, allow the ultimate control of what they decide to be in their hands. For example, if a student has not been very clear in a section of their writing, the student and I will come up with possible revisions together. Then, the ultimate decision of how to revise is the student’s. By giving students’ ownership of their writing, they begin to take pride in their writing, which helps them enjoy writing and get excited about writing. One of the easiest and quickest ways to get your students excited about writing is to show yourself as a writer. Share stories you have written, share experiences that you have had that you want to write about, share struggles you have as a writer, etc. When we start a new genre of writing, I like to share a story I have written in that genre. The students really enjoy listening to stories that I have written and they refer to them all year while they are writing their own stories. Just as much as my students love when I share my own ideas and writing, they also love reading mentor texts during writing time. A lot of times read alouds are used to teach reading skills and answer reading questions. However, my students love when we read a picture book or even a great short story and just talk about what we love that the writer did. This helps the students get excited about writing because they are learning new tricks and strategies to do as writers. I have always worked with primarily ESOL students or other struggling writers. 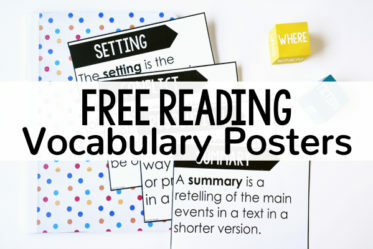 Giving them support in the form of frames, sentence stems, word banks, etc. can make all the difference in making them more confident. The more confident students are with their own writing skills, the more excited they will be about writing. To see an example of how I provide my students with frames, stems and examples for persuasive writing, click HERE. 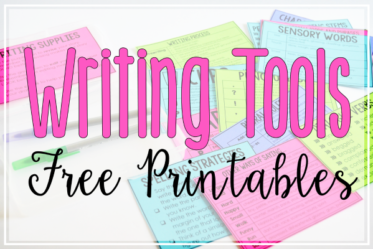 If you would like to create writing toolkists full of resources for your writers to use in their own writing, check out these writing toolkit freebies by clicking HERE. There you have it! 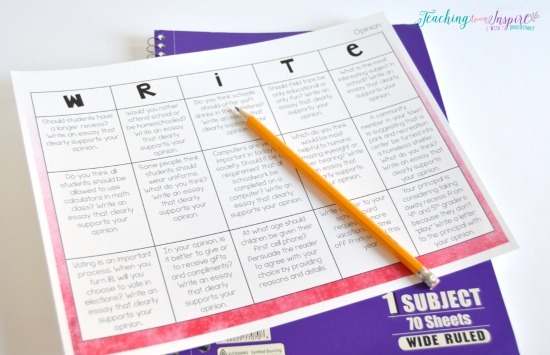 Those are the specific strategies (and a few resources) that I use on a regular basis to encourage my writers, help them enjoy writing, and get them excited to write. 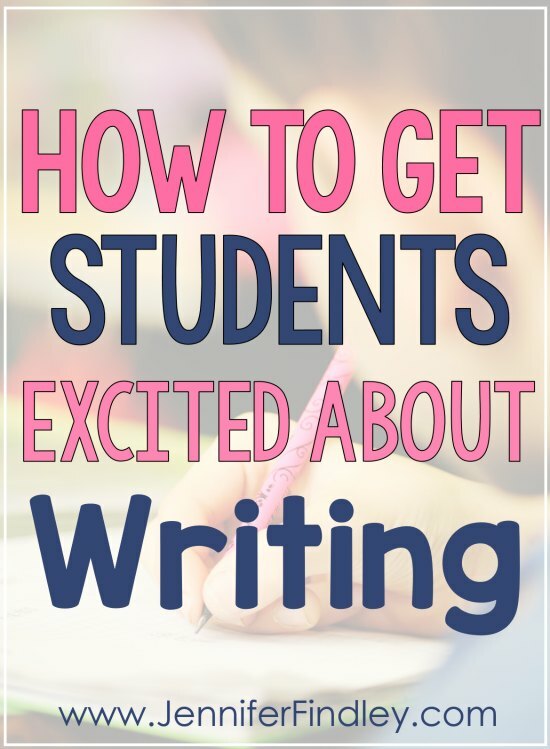 How do you get students excited about writing and help them learn to enjoy it? Let me know in the comments! 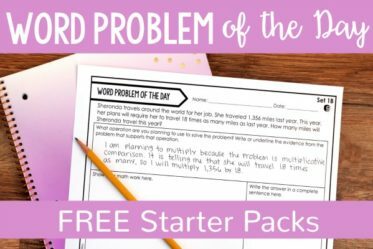 Want a fun way to review parts of speech? 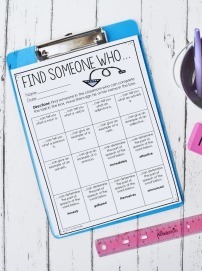 Enter your email to grab FREE “Find Someone Who” printables to review parts of speech in an engaging way that will get your students moving and talking. These are wonderful ideas! As a pre-service teacher I have been experiencing the student’s lack of desire to want to write. To be honest I was a student who did not enjoy writing, so I can relate to these students on a personal level. 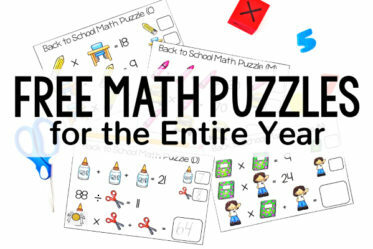 However, I think if my elementary teachers used the motivation techniques you have shared I would have grown to enjoy writing much sooner in life. I would say it wasn’t until I began to journal later in life that I found myself wanting to write. This reminds me of how not only children, but people enjoy writing when they have the choice to what they write about. It is much easier to enjoy writing something when one has a passion or interest in what is being written. 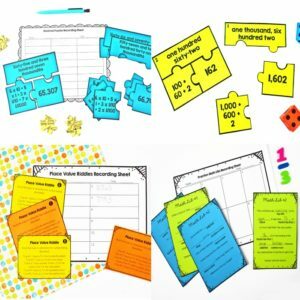 Thank you for sharing these great ideas! Hi Jill! To be honest, I don’t love writing! I didn’t as a student, and it is still not my preferred activity, which is weird that I have a blog! I really think that we can relate to the students, like you can, we are better able to help them. Thanks so much for stopping by and for your kind words about my post.